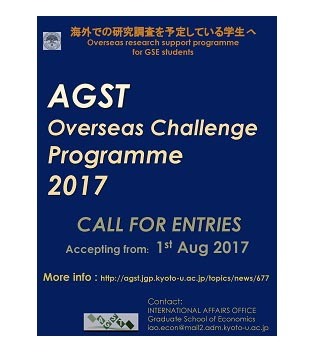 Graduate School of Economics announced a call for entries for “AGST Overseas Challenge Programme 2017”. 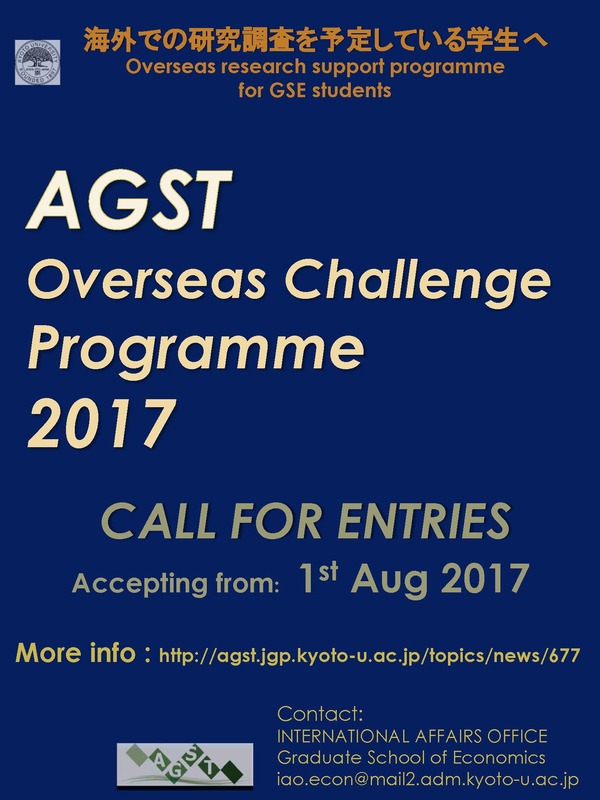 The Overseas Challenge Programme aims to provide students from Kyoto University’s Graduate School of Economics (GSE) with a unique opportunity to advance their research projects by spending time abroad gathering information and exchanging with experts in their field of study. All the applications will be screened by the AGST committee from the GSE to determine eligibility. Programme participants receive financial support to cover travel and accommodation fees. The entry start from 1st August 2017 to 15th December 2017. * Applications will no longer be accepted when the number of the successful candidates reaches the capacity limit that is stated in the guideline. Please check at the guideline. 2nd Floor, Faculty of Law and Faculty of Economics East Bldg.